Kaiser Permanente medical assistant Abelene Cerezo-Kirtley used to fear computers, but not anymore. 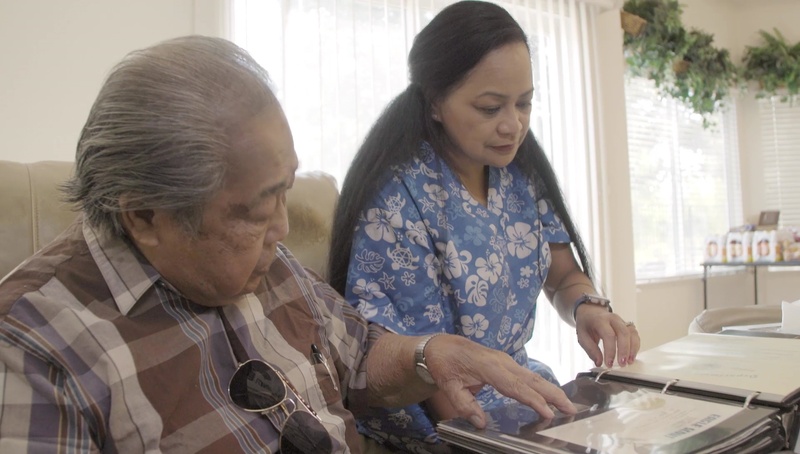 Inspired by her 84-year-old father, she took a pilot digital fluency course that made her more comfortable with technology, empowering her to provide better care for her patients—and her family. As her father’s health advocate, she used her training to create a spreadsheet to track his insulin injections, consolidated his medical records on an iPad, and presented it to his physician. The new online program is free to all members of the Coalition of Kaiser Permanente Unions through the Ben Hudnall Memorial Trust, the SEIU UHW-West & Joint Employer Education Fund, and National Workforce Planning and Development. Visit kpcareerplanning.org, the Ben Hudnall Memorial Trust or the SEIU UHW-West & Joint Employer Education Fund websites to sign up. The digital fluency program, which takes four to six hours to complete, helps employees understand the role of technology in health care and know where to find additional learning resources. It’s part of a larger workforce strategy to encourage employees to upgrade their skills, advance their careers and meet future health care challenges. Cerezo-Kirtley, now studying American Sign Language to better serve patients who are deaf or hard of hearing, has constantly upgraded her skills during her 19 years as a medical assistant at Kaiser Permanente’s Sacramento Medical Center. Her father, a retired airline mechanic who earned a master’s degree, modeled lifelong learning, and KP has enabled it through negotiated benefits such as tuition reimbursement. Cerezo-Kirtley, a member of SEIU-UHW, jumped at the chance to improve her digital fluency. Her manager, Jennifer Henson, RN, agrees. “It’s important to support our staff to advance themselves, which in turn promotes better health within the company,” says Henson, who has used tuition reimbursement herself to earn her nursing degree and is now working toward a master’s degree. "Health care is changing. Be current. Do your homework. Advance your career." 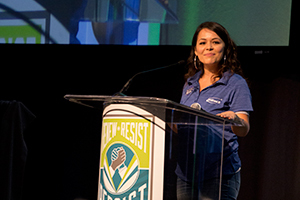 Carolina Aceves, 30, a Kaiser Permanente account administrative representative in San Diego, took the course this summer after learning about it from the Ben Hudnall Memorial Trust. Digital fluency skills are good for workers, KP members and the company, said Jessica Butz, the Coalition of Kaiser Permanente Unions’ national program coordinator for Workforce Planning and Development. “Learning these critical skills will prepare our workers for jobs in the future and give them the tools to shape and improve care for our members and patients,” Butz says.